Facebook hitting the mainstream as volume of news coverage increases? People have been talking about Facebook (http://www.facebook.com/) for a while, but this month it has gone to a whole new level. Regularly featured on BBC Breakfast and all over the papers, there has been a massive growth in user numbers over a very short space of time. As a result Facebook has well and truly entered the mainstream. Some of the more intriguing things I have seen are in this post. The interesting thing though will be how this develops over the long term. The 'finding old friends' concept will not maintain current levels of interest, but there is a potential to harness the volume of traffic and positive PR. Opening up the API has led to a torrent of new applications that are becoming available and this has quickly turned Facebook from an updated version of Friends Reunited into something that is taking on YouTube, MySpace and the like. This also creates some interesting opportunities for brands to get more involved with Facebook users and groups. Rory Cellan-Jones, a BBC reporter, wrote an article "pondering whether social networking is for the over-40s" and "was swamped with offers of friendship" - 700 friend requests on Facebook. To his embarrassment a Facebook group called Befriend Rory Cellan-Jones was even set-up! Newsnight has been using Facebook to get closer to it's viewers. The show's business and industry correspondent Paul Mason has created two groups, Get Yourself On Newsnight and Feral Beasts Of The Media. BBC TV news boss Peter Horrocks has been on there a long while and is Facebook-savvy. A lot of staff use it personally and professionally. "The group invites story ideas and responses from members and has so far heard suggestions to change to the BBC licence fee and for Jeremy Paxman to be sent on a nationwide reporting tour by bicycle." Manchester United boss Sir Alex Ferguson has forbidden his young players to use Facebook in an effort to protect them from want-to-be WAGS. 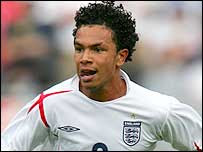 A number of young stars – including England's Kieran Richardson - at Old Trafford have set up sites on social networks like Facebook but have been ordered to go offline. Ferguson is worried they will be stalked by girls and get themselves into trouble with revealing photos or wall messages. "Richardson : Facebook WAG danger"
Alex Bogdanovic has revealed Facebook is responsible for the fact that he and Melanie South are still flying the flag for the Brits at Wimbledon. The homegrown duo are through to the quarter-finals of the mixed doubles after ousting top seeds Mike Bryan and Lisa Raymond and Yung-Jan Chan and Rogier Wassen - the 13th seeds. However, Bogdanovic has admitted the unseeded duo are only playing together because South, 21, contacted him on social networking site Facebook to ask if he fancied teaming up. "You imagine celebrities to be living in the biggest houses with the fanciest cars and the latest clothes but in Bournemouth, the local star lives on the street, has no possessions except a dirty old coat and is a tramp. Gordon Roberts, 78 known locally as Gordon the Tramp has become a local hero because of his amazing time-telling skills. Despite not owning a watch, Gordon is always able to accurately predict the time. 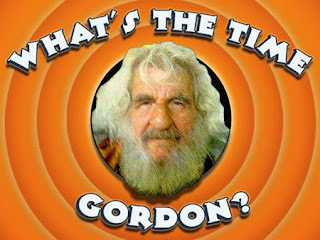 This talent has earned him his own catchphrase, "What's the time Gordon?" His popularity has rocketed since university student, Chris Kimber, 24 set up a Facebook page to pay homage to him............"